The Pasadena Junior Chamber of Commerce (nicknamed the “Jaycees”) is celebrating 90 years of community service, leadership training, and social events. On Saturday, February 9, the organization hosted a 90th Anniversary Gala at Shakespeare Club, which included recognition of long-standing projects like Operation Santa and Operation Gobbler, speeches and anecdotes from community members, and even a Jaycees parody song. The 2019 President, Erin Scott, and the 2019 Board of Directors were also sworn in at the event. The celebration was a fun-filled night, and the program included speeches from Ed Morales who spoke about the ongoing relationship between the Tournament or Roses and the Pasadena Jaycees, Desiree Sanchez who raved about the positive impact Operation Santa had on her children, Ana Whilchez who explained the yearly difference the Operation Gobbler project makes on her family and friends, and Mitsuko Roberts who thanked the Jaycees for the positive impact the Japanese exchange program has had on her son. 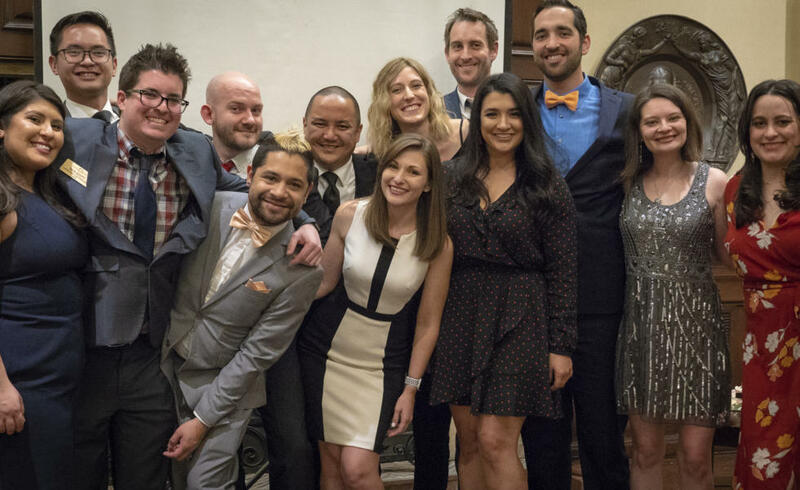 The Pasadena Jaycees are a volunteer and leadership training organization for people aged 20 to 41. For more information about joining or about any of the Jaycees’ charitable projects, please visit www.pasadenajaycees.org or email [email protected].